The tour desk can provide useful information on Barcelona and the surrounding area. 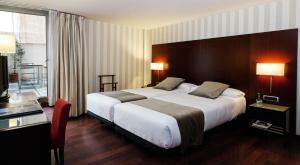 The hotel is 12 minutes from Plaza Catalunya and the Ramblas by metro, while the Hospital Clinic Metro Station and hospital are 200 metres way from the hotel. 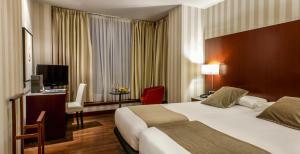 Featuring contemporary décor, this air-conditioned room includes 1 double or 2 single beds and a pillow menu. It is soundproofed, offers flat-screen satellite TV, a safe and a minibar and has an en-suite bathroom with hairdryer and free toiletries. Free Wi-Fi is also included. 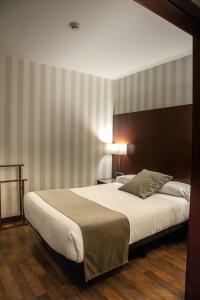 Featuring contemporary décor, this air-conditioned room accomodates 3 people and has a pillow menu. It is soundproofed, offers flat-screen satellite TV, a safe and a minibar and has an en-suite bathroom with hairdryer and free toiletries. Free Wi-Fi is also included. 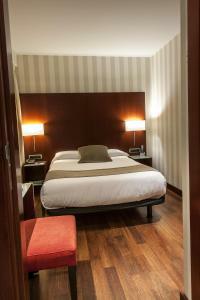 Featuring contemporary décor, this air-conditioned room includes a small double bed and a pillow menu. 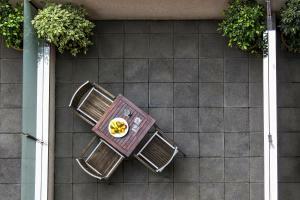 It offers flat-screen satellite TV, a safe and a minibar and has an en-suite bathroom with hairdryer and free toiletries. Free Wi-Fi is also included. 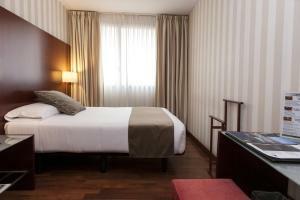 Rate: € 45.00 ... € 155.00; select dates below to get current rates. 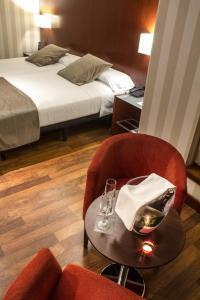 This smaller room features contemporary décor, a small double bed, air conditioning and a pillow menu. 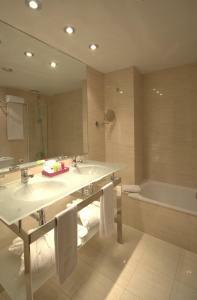 It has flat-screen satellite TV, a safe, a minibar and an en suite bathroom with a hairdryer and free toiletries. Free Wi-Fi is also included. It is not possible to put an extra bed or cot in this room type.